Pipe bursting is an effective and efficient method to replace failing, outdated, or undersized sewer pipes. Trenchless sewer line replacement has become the #1 option for homeowners and businesses, or municipalities, looking to replace their lines without destroying their property. Bursting is the process of pulling a “torpedo head” through existing pipes, breaking it up, and at the same time pulling a new pipe through the old line. 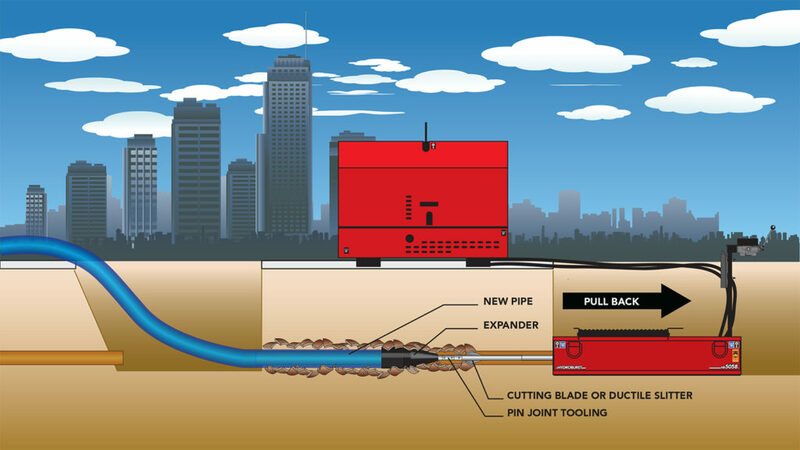 Pipe bursting is the only trenchless sewer line replacement that can actually increase the size of your pipes without digging, making it many owners and contractors go-to choice.